Best chocolate cupcake to date! Man does that pumpkin make it moist! It actually happened by accident. I was following a recipe making a few adjustments on purpose but accidentally put a whole can of pumpkin in instead of just a cup. Sometimes the greatest inventions happen because of a mistake. This is one of those cases. Seriously, this cupcake is divine. K, enough about the amazingly moist chocolate pumpkin cake part. Let’s talk about that stuff on top that screams “eat me!”. I love a traditional pumpkin cake with cream cheese frosting, but pumpkin chocolate cake paired with cream cheese frosting AND chocolate!? Now we are really talkin! So on top of that lovely moist cake we’ve got a cream cheese/whipped cream frosting (dyed orange of course). It has a bit of cinnamon giving it more of a pumpkin spice kick but I absolutely love that it has whipped cream in it. I mean, how could one not?! 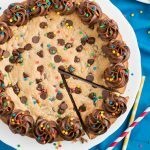 It’s got a light and fluffy texture that sits perfectly under the rich blanket of chocolate ganache. Ya know, because everything should be covered in chocolate. Well, I’m off to devour the last of these cupcakes. Enjoy! Preheat oven to 375 degrees F and line muffin tins with cupcake liners. In a large bowl, mix flour, cocoa, baking powder, baking soda, and salt together. In a small bowl combine buttermilk, pumpkin and vanilla. In the bowl of a standing mixer, cream butter and sugars until light and fluffy. Beat in eggs one at a time. While mixing on low, alternately add dry ingredients and pumpkin mixture in thirds. When evenly combined, pour into muffin tins and bake for 15-18 minutes or until toothpick comes out clean. When cool enough to handle, remove cupcakes onto wire rack to cool completely. Beat whipping cream and 3/4 cup powdered sugar with an electric mixer until soft peaks form. Add food coloring and mix until stiff peaks. In another bowl, beat cream cheese on medium-high until light and fluffy. 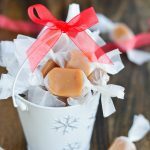 Mix in remaining 2 cups powdered sugar, cinnamon, and vanilla until combined. Fold in the whipped cream until well mixed. Place frosting in piping bag fitted with a large round tip. Pipe a dollop of frosting in the middle for height and then pipe the frosting around and spiral up. Release pressure and then lift when you reach the top. Place in the fridge for at least 30 minutes before adding glaze. Place chocolate, butter, and corn syrup in a heatproof bowl. Boil whipping cream on the stove or in the microwave (careful it doesn't boil over) and pour it over the chocolate and let it sit for 3 minutes. Mix with a whisk until smooth and let it sit for 3-5 minute to allow it to thicken a little. Spoon the glaze on top of each cupcake pushing it off the edges to drip down the frosting. Refrigerate until ready to serve. Those cupcakes looks divine!!!! Chocolate and cream cheese frosting!! Can’t wait to try them!! Wow that glaze! Love these pics too Melanie! I think I could devour a bowlful of that frosting straight it looks SO delicious. 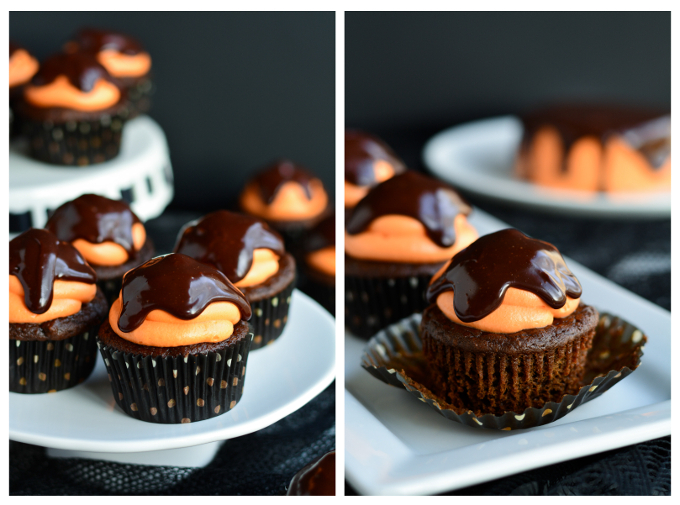 These chocolate and pumpkin cupcakes are a great recipe Melanie, thanks for sharing it! I have never met a day when I’ve had too much chocolate. This I could squeeze perfectly into any day. Gorgeous! I haven’t either Melanie. Most days I haven’t had enough chocolate! Whoa. 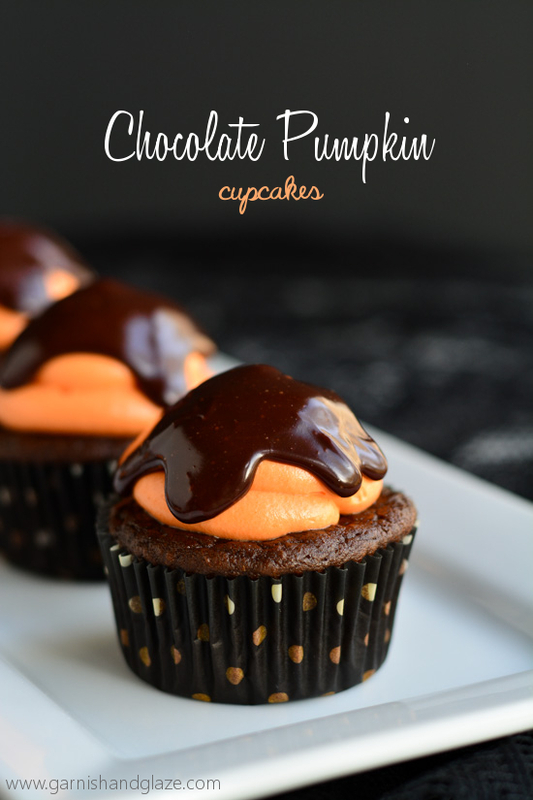 I have a feeling my kiddos would devour these in one night… lol They look incredible! Its pumpkin everywhere still it’s not enough for me! Looks so good especially that creme on top! Wow Melanie…these look amazing!! 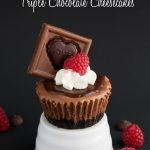 I was just peeking over the Foodie Fridays linkups this morning and couldn’t resist clicking on these! They looks so delicious! Pinning and sharing! Have a wonderful day! Thanks Michelle! You have to try these! 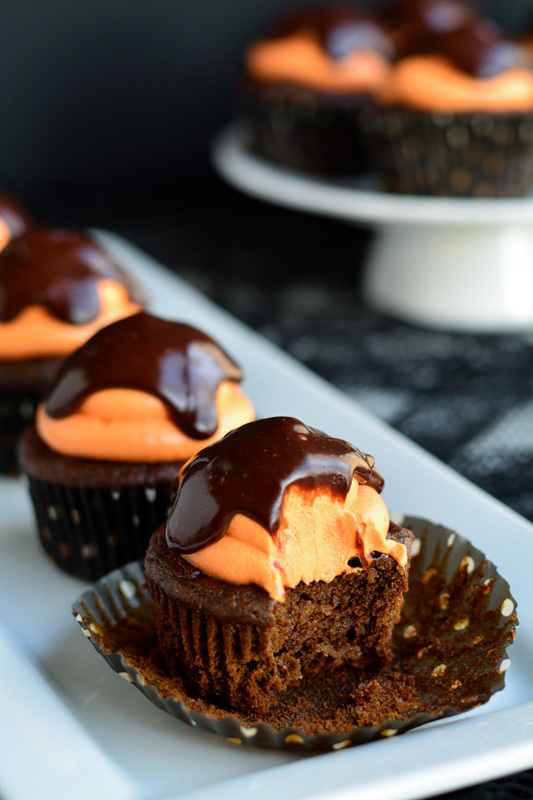 They are seriously the moistest cupcake because of the pumpkin in it. 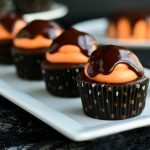 I’m usually super hesitant to even try a recipe that doesn’t have many reviews but your words were convincing and I really wanted to try it since I had pumpkin and was needing to make chocolate cupcakes for my daughters party. They turned out SO moist and were perfect with the cream cheese frosting (didn’t do the ganache) but I cut 1/2 cup of the powdered sugar in the cream cheese frosting and sprinkled it with sugar and it turned out just right. I also lowered the cinnamon to 1/4th of a tsp because I was afraid it would be too much like pumpkin pie but I wish I didn’t, you can hardly taste the pumpkin in the recipe so the cinnamon would really flavor the cream cheese well. I highly recommend everyone to try these! 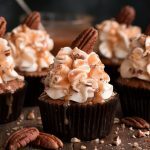 These cupcakes were just what I was looking for to make a special Thanksgiving dessert that wasn’t pumpkin pie! Instead of adding food coloring, I added 1/4 cup pumpkin puree to the cream cheese frosting for color and a little extra pumpkin flavor. 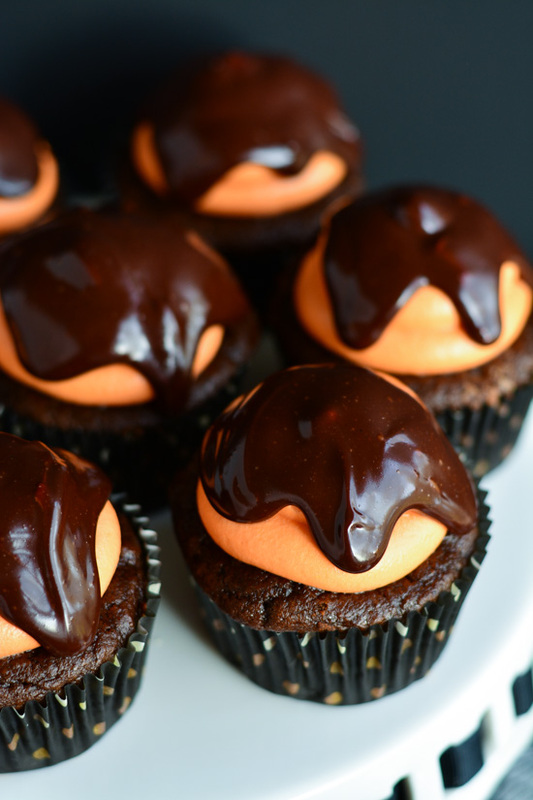 I’ve never had such light yet decadent cupcakes in my whole life! 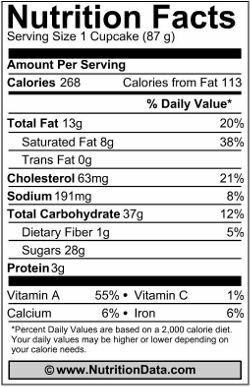 This is getting added to the recipe box for sure, thank you!